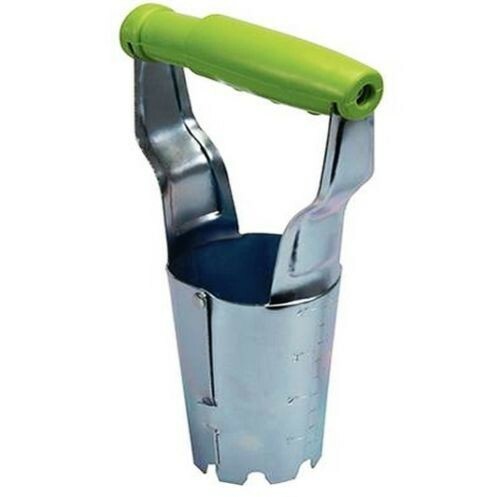 Brand New 235mm Garden Flower Bulb Planter Hand Held Zinc-plated metal planter with easy-grip plastic handle. Serrated digging teeth allow for easy insertion into soil. Spring-release action. Metric and imperial graduation to measure depth of insertion. Corrosion-resistant finish. For quick and easy planting of bulbs in the garden..